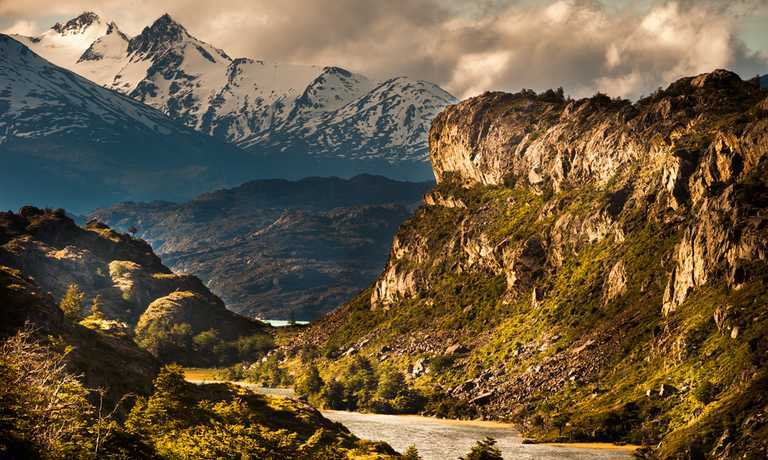 The Classic El Chalten trek to the must-see landmarks. Trek to Laguna de los Tres with magnificent views over Mount Fitz Roy, camp overnight at Poincenot and continue your trek to Laguna Torre. Stop at the Piedras Blancas Glacier viewpoint to enjoy a view of the hanging glacier. Reach Laguna Torre and admire the famous Mt Torre - one of the most difficult mountains in the world to climb. This trek is one of the highlights in the area and starts from El Pilar. We will leave El Chalten in a transfer to the trailhead, half an hour away. We then start this lovely walk in a forest on a path that ascends gently and first arrives at Piedras Blancas Glacier viewpoint. We'll have a brief stop here to enjoy the view of the hanging glacier. After a bit more gentle climbing the challenging section of one hour of steep uphill to get to Laguna de los Tres, starts. The effort is all made worthwhile by the breathtaking views we get at the top, of Mt Fitz Roy, its satellite mountains and the valley we have just been walking along. Weather permitting; we will have lunch at the lagoon. We will then start the descent and head towards Poincenot, our home for the night and from where we can continue to admire Fitz Roy massif! You may want to get up early to take some sunrise shots of Fitz Roy in its beautiful hues of red (weather permitting!). After breakfast we will head off again. We trek past the beautiful lagoons Madre and Hija before dropping down into Torre valley. This glacial valley is loved by geologists and photographers for its perfect shape. At the end of the valley we will find Laguna Torre, its glacier and the famous Mt Torre - one of the most difficult mountains in the world to climb. Sometimes floating on the lagoon are some icebergs that have broken off the Torre glacier. The Fitz Roy river starts from this lagoon too and here is where there is a Tyrolean rope that is used by climbers to access the mountains that they plan to climb. We will also have time to visit D'Agostini Camp ground - where lots of famous climbers have spent a night or two! After lunch at the lagoon we will head back towards Chalten, along the Fitz Roy river valley and crossing over a couple of old moraines. If we are lucky we may spot a Magellanic woodpecker, the nearly extinct deer - Huemul and lots of beautiful wild flowers. This trip can run as a group trip, with prices starting from $390 per person for a complete group. If you are looking to join a group or you are a solo traveller we will help to form likeminded groups of travellers. Please let us know your travel plans. Meals during the trek: 1 breakfast, 2 pack lunches, 1 afternoon tea & 1 dinner.